Do you know that feeling when you work on a chocolate cake recipe, taste the outcome and think: wow this is the best chocolate cake I have ever made. 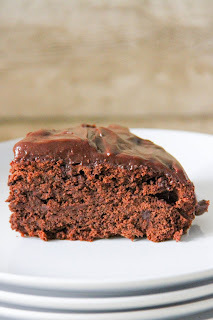 When it comes to chocolate cake I am really hard to please. 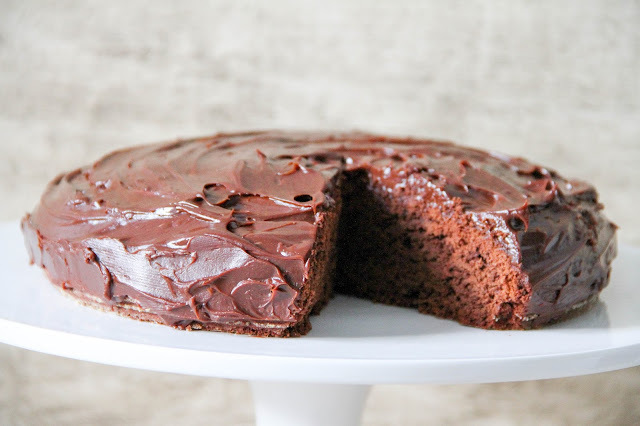 Chocolate cake is my favorite cake, but it really has to have the right texture, the right amount of chocolate and also most importantly the right balance between chocolate and sugar. It should neither be too sweet nor to bitter. Only recently I've tasted one of the best chocolate cakes in my life, and if I am lucky enough, my colleague will hand the recipe over to me so I can try it for very special occasions. When I tasted his birthday cake, I was just amazed. 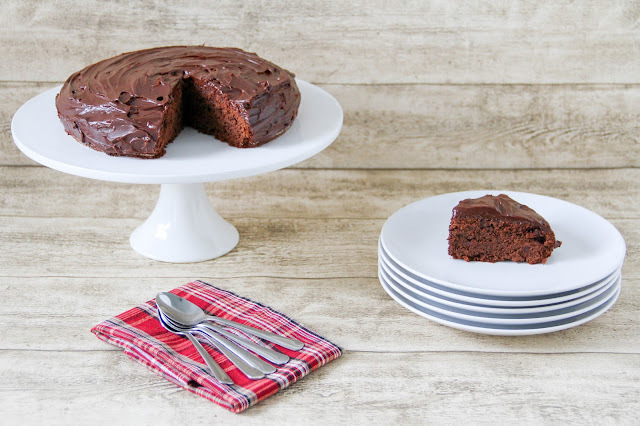 With half of the cake in my belly, I was wondering what made this chocolate cake so special. It took quite a while until I found out. But I would say, as mentioned above it is the balance between chocolate and sugar; neither too sweet, nor too bitter. I am not too much of a fan of boozy cakes, except for Rum and Baileys. I love rum truffles and all kind of baileys treats. 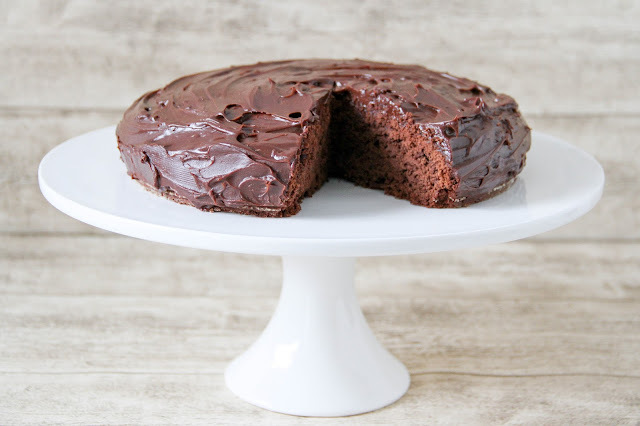 When I was in high school, a friend of mine gave me this delicious chocolate cake recipe, which my grandpa then took as a base for his chocolate ganache cake. I inherited the recipe and added an extra note, notably the Baileys note. I was experimenting several times with the amount of Baileys until I finally came to the end result of this cake. I took it too work, and within seconds it was fully approved. Three quarter of the cake were gone in only one afternoon. Fair enough, I saved the last quarter for my parents, to let them see what I transformed grandpa's cake into. I found it would be a perfect Christmas recipe, because of the booziness on one hand and the lovely Baileys taste on the other, which makes a great treat for the festive season. Chop the chocolate first, then take 100g for the cake. 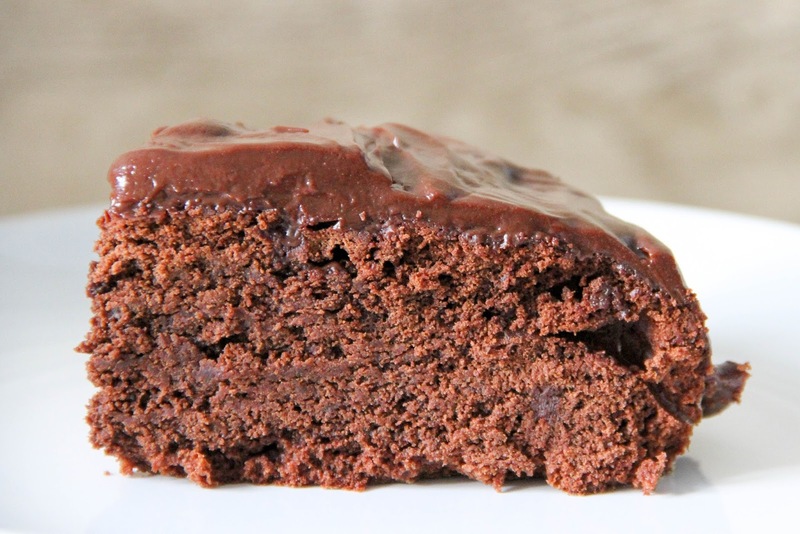 In a saucepan, heat the butter and chocolate over medium heat until completely melted. Add the sugar, cocoa powder as well as the Baileys and whisk together until you get a silky and lump-free mixture. Remove from heat and cool for a few minutes. In a large bowl, whisk together the flour and baking powder. Add the chocolate mixture and mix until you get an even dough. Add the eggs and mix again. Now you can pour the dough into a buttered cake tin and bake for 40-45 minutes. In a saucepan, bring the liquid cream and Baileys to a simmer. Add the remaining chocolate and stir regularly until it has completely molten. Set the liquid ganache aside at room temperature. Stir every now and then, to avoid clumps, until thick enough to spread over the cake.